Flying a drone for the first time may sound as easy as playing a video game. For first timers, crashing the drone into any object is inevitable. When manufacturers advertise their drones, they make it seem like flying it will not require any special skills, even when you have never flown any drones before. If you ask any drone owners, they probably crashed it into a tree, building or car the first time they tried flying it. Some of the mistakes among first timers are common and you should learn to recognise them and avoid the situation. Most manufacturers do not input any flying guideline with the flying instructions of the drones. This may not be a problem in most places, but some states have some strict rules when it comes to flying. For one, you should know whether registration is mandatory and the qualifications to register the aircraft before you fly it. Even though registration may not be mandatory, you will still b e required to follow some flying guidelines. Some common guideline include; flying 400 feet above the ground id prohibited, always fly the craft in sight, don’t fly it in airports or near airplanes, don’t fly it over people, emergency situations and government facilities, and don’t fly under any influence. Having a new toy or flying camera is really exciting; you want to fly it every time you get the chance to. Beginners will fly the thing just under any conditions or without regard to any regulations. The existent may be the end of your perfect new drone. Flying under certain conditions like wind, may lead you to crash and ruin the drone, and that’s just a big waste. When you take the drone to the sky, stay away from power lines, trees, building and light posts. These obstacles will make it difficult to navigate when you are flying for the first time. The return to home feature on the drones will be hard to navigate through all these objects. For one, it will fly at a high attitude, increasing the risks of bumping into one of the named objects. The term range is confusing when it comes to flying a drone. 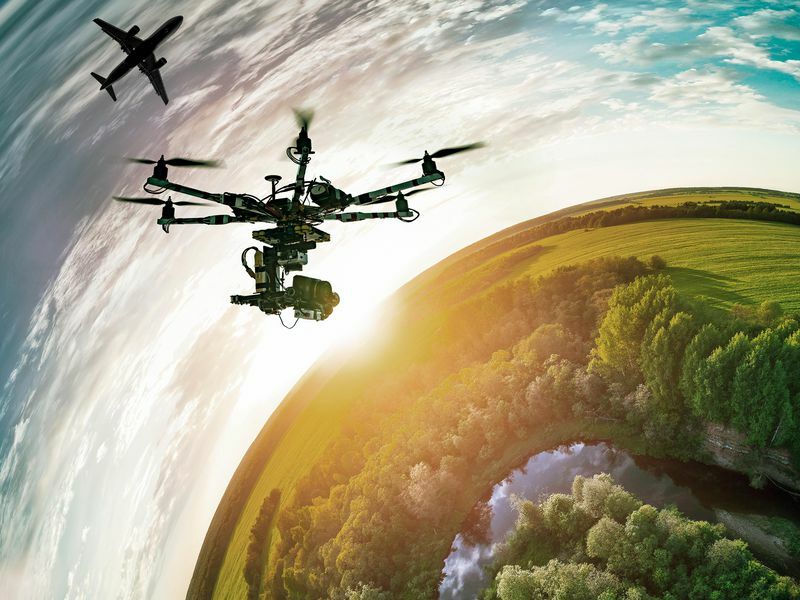 For most people, it is the distance that the drone will cover but in reality the range is the line distance the drone will cover between the craft and controller. When flying, always stay within the recommended range so that you can avoid crashing. Be prepared to run after your craft with the controller when you are out of range. Avoid flying the drone with places that have a high magnetic interference. Magnetic structures like power lines systems will mess with your GPS and fail to stabilise causing you to lose control of the craft. Charge the battery You may be tempted to fly the drone almost immediately, but keep in mind the battery in a drone drains out fast. Ensure your battery is fully charged before taking the drone out for a flight.